General Motors Co.'s Opel/Vauxhall unit said it has reached an agreement with employee representatives on annual wage savings of 265 million euros ($329 million). The deal removes an important obstacle to Opel winning loan guarantees from the German government toward a 3.7 billion euro revamp that aims to return the money-losing unit to profit in two years. Opel has asked Germany to guarantee up to 1.3 million euros in loans that the company says it needs while it carries out a turnaround plan. The restructuring will see the loss of 8,300 of GM's 48,000 European work force, capacity cut by a fifth and the closure of the company's plant in Antwerp, Belgium. In exchange, the European workforce demanded that parent GM deliver airtight promises for investments in the manufacturing sites. "This European framework contract and the specific agreements in each country, including Germany, are important steps along the way to a new and successful company,” Opel CEO Nick Reilly said in a statement Friday. Opel said the agreement includes 265 million euros in wage savings annually across Europe, with nearly 177 million euros coming from Germany. It also includes the transformation of Opel's corporate statutes so staff can eventually share in company profits. Opel said the agreement is based on detailed investment and production commitments for an attractive product portfolio as well as on strengthening the international technical development center in Ruesselsheim, Germany, within the global GM product development network. A timetable for the introduction of new products, including a new small car below the Corsa, is set out in the deal, but Opel did not give any further information. The framework agreement is being discussed in individual European countries -- Opel also has plants in Belgium, Austria, Poland, Spain and Britain under sister brand Vauxhall -- and is expected to be ratified in the coming days, Opel said. Labor and management wanted to present an agreement before Tuesday, when the steering committee of the German state rescue fund is due to discuss Opel's request for aid. 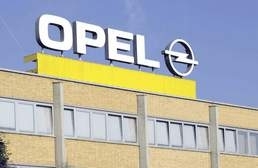 Berlin had said that Opel needed to agree labor cost savings before a decision could be made. Reilly told journalists he expected a positive recommendation from the steering committee meeting. A final decision on aid may take until early June, however, he said.